Garda Patrol | What I think About When I Think About Writing. 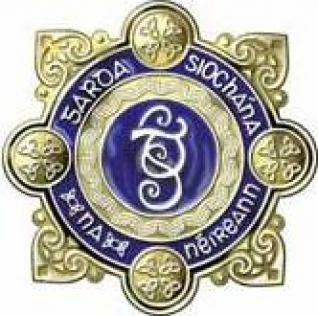 I have a healthy respect for our national police force, the Garda Siochana. By and large, like most law-keeping organisations, they are a hard-working, underpaid and much derided bunch of men and women. They do a tough job in the easiest of times, a practically impossible job when gun control is non-existent in the Republic of Ireland. But that’s not why I write this post today. Our gardai are tasked with enforcing any number of unworkable laws. The one that sticks in my craw deals with “drinking-up time” in our licensed premises. As it stands at the moment, customers are allowed 30 minutes to finish off their drinks once the bar has closed. On a Saturday night the bar closes at 12.30am, which means that customers must be gone by 1am. All well and good – but this is Ireland we’re talking about here. Customers don’t normally finish ordering their drinks until that time. (Yes, we’re flexible, and we’re not about to turn away business by sticking too close to the law now, are we?) So asking them to leave is a no-no. Except of course when the gardai come in to say hello. Which they did last night – ten minutes after my boss went off home, leaving me to lock up. Personally I’ve no issue with this. He’s there until all hours most of the week, so I think it’s only fair that he goes off, knowing I have keys to lock up. I normally pull down the shutters to protect whatever people there are inside and to prevent anyone else coming in. But whoever went out without me knowing forgot (or didn’t bother) to pull it down after them. Within moments the boys in blue were inside, causing our locals all sort of mayhem and disharmony. And because I was the one with the keys, it appeared I was the man in charge of the pub. Yay me! Did I know it was an hour over the time? Of course I did. What was I doing about it? Not much, if truth be told. I can’t force their drinks down them. I went off to make sure that no one was smoking where they shouldn’t be smoking (i.e. anywhere inside the building) and when I came back, I was asked for my details: name, address and date of birth. Quickly retreating into my past and hoping that the gardai hadn’t these details already, I coughed up, letting them know that I was not the manager – just unlucky enough to be a key-holder. I hope they did – because it’s a jungle out there. This entry was posted in Dublin and tagged Dublin, Garda Síochána, Police. Bookmark the permalink. Like Nancy, I see both sides, but I tend to fall more on yours and the patrons’ sides thab the Gardai’s. Sort of reminds me of the way in some states and localities, if the traffic cops haven’t issued enough citations by a certain date in each month (in other words, they haven’t generated enough income), they go on the warpath on the highways, and pull over anyone who is even a fraction over the speed limit! Such is life! The space between the rock and hard place can seem awfully narrow at times. Seems to me there are a lot more serious crimes out there worth investigating first, before resorting to throwing peaceable customers out of the pubs! It’s funny you should say that, Paula. One of my customers had a similar reaction to our little surprise visit and fancied a confrontation with one of the gardai (fuelled by a touch of Dutch courage, of course). I suggested he go right ahead – if he wanted to spend the rest of the night in a cell in Fitzgibbon Street Garda Station. Needless to say, he mumbled to himself about the Nanny State and whatnot. Be that a SPAR packet holding Fiachra’s sandwich? I thought it was a South African chain? Spar is omnipresent in modern society – much like the breakfast roll. Well, pub bust in this case!! Isn’t it just so cool the way they can clear the floor in 10 minutes? I wonder what they do when they go out for a night on the town? Do they clear the dancefloor that way too? Cops, they’re needed, no doubt about that but at times, I think they can let a few things slide. Well, I think you took it all in very good part, James: very nice indeed of you to wish them good evening as they left. They were probably just trying to scare the pants off you. You seem to me to have the attitude of a true Dubliner… very laid back about the whole thing….